This pendant beautiful colors that swrils across the stone. This will match any outfit. 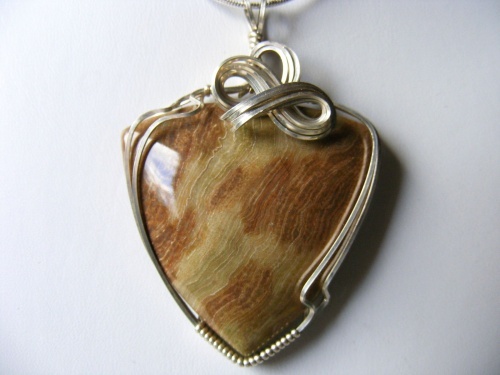 Piece is sculpted in sterling silver swirls to enhance the stone. Measures 2" from top of bail to bottom of pendant and 1 1/2" wide.